Leishmaniasis is a spectral disease (Pearson and Sousa, 1996). The clinical manifestations depend on complex interactions between the virulence characteristics of the infecting Leishmania spp. and the genetically determined cell-mediated immune responses of its human host. There are three major clinical syndromes: cutaneous, mucosal or visceral leishmaniasis. Variations occur in each of these, and many Leishmania spp. can cause more than one syndrome. some cases lesions are papular, acneiform or nodular, with minimal or no ulceration. Many lesions develop a 'pizza-like' appearance (Figure 13.5), with a circular, raised outer border, beefy, red, granulating base and overlaying yellow exudate. These are sometimes referred to as 'wet' lesions. 'Dry' lesions tend to be smaller, with less pronounced ulceration and an overlying crust. In a few cases a hard excrescence forms at the center of the lesion, which may take the form of a cutaneous horn. Satellite lesions may be seen, and secondary staphylococcal or streptococcal cellulitis of adjacent skin can develop. Regional lymph-adenopathy may accompany skin lesions, particularly in persons infected with L. (V.) guyanensis. In some persons with L. (V.) braziliensis, regional lymphadenopathy, fever and constitutional symptoms precede the development of skin lesions and resolve as the lesion develops. After a variable period of time, cutaneous lesions heal, leaving flat, atrophic, burn-like scars as evidence of disease. In general, lesions of L. (L.) mexicana and L. (L.) major tend to heal within several months, while those of L. (V.) braziliensis and L. (L.) tropica persist longer. After lesions resolve, persons are usually immune to the infecting Leishmania spp. 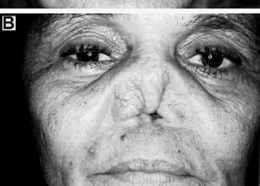 On rare occasions, persons infected with L. (V.) braziliensis develop a large number of skin lesions, suggesting hematogenous dissemination. Disseminated cutaneous disease has also been reported in persons with concurrent HIV infection, but the number is small in comparison to HIV-associated visceral leishmaniasis. In diffuse cutaneous leishmaniasis, plaque-like or nodular lesions develop on the face or other exposed areas and slowly spread. They do not ulcerate. Large numbers of amastigote-filled macrophages are found at biopsy, the leishmanin skin test is negative, and peripheral blood mono-nuclear cells neither proliferate nor produce IFNy or IL-2 in response to leishmanial antigens. 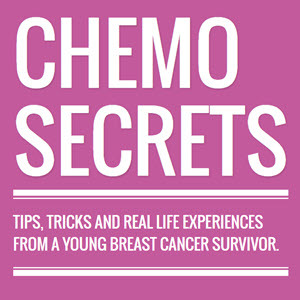 The disease persists over a period of many years and responds poorly to chemotherapy. Diffuse cutaneous leishmaniasis is most frequently associated with L. (L.) aethiopica in Africa and L. (L.) amazonensis in Latin America. Leishmaniasis recidiva is a chronic, localized process associated with L. (L.) tropica in the Middle East. Lesions expand slowly and frequently persist for years, healing at the center as the margins expand. They are typically found on the face or other exposed areas. Biopsies reveal a chronic granulomatous response with few parasites. (Figure 13.7). In rare instances, death has resulted from chronic aspiration pneumonia. Mucosal involvement is occasionally seen with other Leishmania spp. 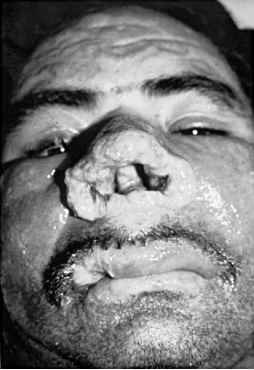 as a result of contiguous spread of cutaneous leishmaniasis of the face and in some persons with HIV-associated visceral leishmaniasis. The pathophysiology and natural history in those instances are similar to those of cutaneous leishmaniasis and visceral leish-maniasis, respectively, rather than that of mucosal disease due to L. (V.) braziliensis. Leishmania (L.) donovani, L. (L.) chagasi and L. (L.) infantum are responsible for the majority of cases of visceral leishmaniasis, although occasionally other Leishmania spp., such as L. (L.) amazonensis or L. (L.) tropica, are isolated. The clinical spectrum is similar throughout the world. In early epidemiological studies in East Africa and Italy, many persons living in endemic areas were found to have positive leishmanin skin tests, even though they had never been diagnosed or treated for visceral leishmaniasis. This suggested that the majority of L. (L.) donovani and L. (L.) infantum infections might be subclinical and self-resolving. The full spectrum of L. (L.) chagasi infection was subsequently defined in prospective studies in north-eastern Brazil (Badaro et ai., 1986b, 1986c; Evans et ai., 1992). The ratio of symptomatic visceral leishmaniasis to self-resolving infections ranged from 1:4.5 to 1:18, depending on the subject's age and the geographic location. Young children living in highly endemic areas were the most likely to develop disease. In one study, a subset of those infected were observed to have a subclinical course before either progressing to typical visceral leishmaniasis or spontaneously clearing infection (Badaro et ai., 1996b). The time from inoculation of promastigotes by sand flies to the development of clinically apparent visceral leishmaniasis is variable. It is typically several months, but it has been reported to be as short as 10 days or as long as 34 months in immunocompetent persons. In a few instances, persons who have moved from endemic areas have developed visceral leishmaniasis years later after becoming immunosuppressed (Badaro et ai., 1986a). Persons with visceral leishmaniasis typically experience the subacute onset of fever, weakness, fatigue, weight loss, splenomegaly and hepatomegaly (Evans et ai., 1985) (Figure 13.8). In some cases, the onset is more acute and suggestive of malaria. Fever may be intermittent, remittent with twice daily temperature spikes, or continuous. Patients tolerate the fever relatively well. The liver and spleen progressively enlarge; they are firm in texture, not hard. In some cases the spleen becomes massively enlarged and may extend into the left lower quadrant. In a few cases it is not palpable. Hyperpigmentation is observed in Indian patients. It is the basis for the Hindi term 'kala-azar', which means black fever. It is not a feature of visceral leish-maniasis in other geographic areas. Peripheral lymphadenopathy is associated with visceral leishmaniasis in patients in the Sudan and China, but it is not common elsewhere. Wasting occurs as an apparent consequence of cytokines such as TNF-a and IL-1 (Pearson et ai., 1992), and severe cachexia may be observed late in infection. The laboratory findings of visceral leish-maniasis include anemia, leukopenia and hypergammaglobulinemia (Evans et ai., 1985). Anemia may be pronounced, particularly in areas where malaria and hookworm infections are also endemic. The total white count may be as low as 1000/mm3. 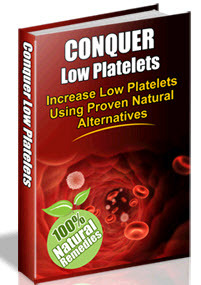 The platelet count is frequently decreased as well. Eosinophilia, which is prevalent in the tropics because of concurrent infection with helminths, is absent in patients with visceral leishmaniasis. Fig. 13.8 Visceral leishmaniasis due to L. (L.) chagasi hepatosplenomegaly and bilirubin are observed in some patients. Petechiae, ecchymoses and bleeding may develop late in the disease as a consequence of coagulo-pathy and thrombocytopenia. Although the natural history of untreated visceral leishmaniasis has not been fully characterized, it progresses to death in the vast majority of cases. Secondary bacterial and viral infections are common (Andrade et al., 1990). Pneumonia, septicemia or measles are often the immediate cause of death. Even with chemotherapy, the mortality rate approaches 10% in the Sudan and Brazil (Evans et al., 1985; Jeronimo et al., 1994). Visceral leishmaniasis is a well-recognized opportunistic disease in persons with AIDS. They can present in the classical manner with fever, constitutional symptoms, splenomegaly and hepatomegaly, but atypical presentations are common (Datry et al., 1990; Montalban et al., 1990; Sendino et al., 1990; Abbas et al., 1992; Matheron et al., 1992; Chenoweth et al., 1993; Rosenthal et al., 1995; Alvar et al., 1997). Splenomegaly may be absent. Amastigote-infected macrophages may be encountered in the lungs, pleura, oral mucosa, esophagus, stomach or small intestine. Some persons present with aplastic anemia due to bone marrow involvement (Grau et al., 1989). Asymptomatic leishmanial infection has also been reported in persons with AIDS (Condom et al., 1989). Visceral leishmaniasis usually develops late in the course of HIV infection. The prognosis has been poor even with antileishmanial chemotherapy, but most of the reported experience antedates the introduction of highly active anti-retroviral therapy. A small group of American troops who served in the Persian Gulf War developed low-grade fever, malaise, fatigue and lassitude as a consequence of visceralizing L. (L.) tropica infection (Magill et al., 1993). Although splenomegaly was observed in some, it was not massive. None of them progressed to classical visceral leishmaniasis. The diagnosis was confirmed by culturing L. (L.) tropica from bone marrow aspirates. Post-kala-azar dermal leishmaniasis develops after therapy in a subset of persons with visceral leishmaniasis in Africa and India. It is characterized by macular, papular or nodular lesions on the face, trunk or extremities that may be mistaken for leprosy. Amastigotes are present in macrophages in the lesions. In African post-kala-azar, dermal leishmaniasis lesions usually appear at the end of therapy or within a few months and persist for several months. In India they can appear up to 2 years after treatment and persist for many years. Persons with post-kala-azar dermal leishmaniasis may serve as reservoirs of infection in those areas.